Wait for the person who pursues you, the one who will make an ordinary moment seem magical, the kind of person who brings out the best in you and makes you want to be a better person; the only person who will drop everything to be with you at any time no matter what the circumstances, for the person who makes you smile like no one else ever has. Wait for the person who wants to show you off to the world because they are so proud of you. 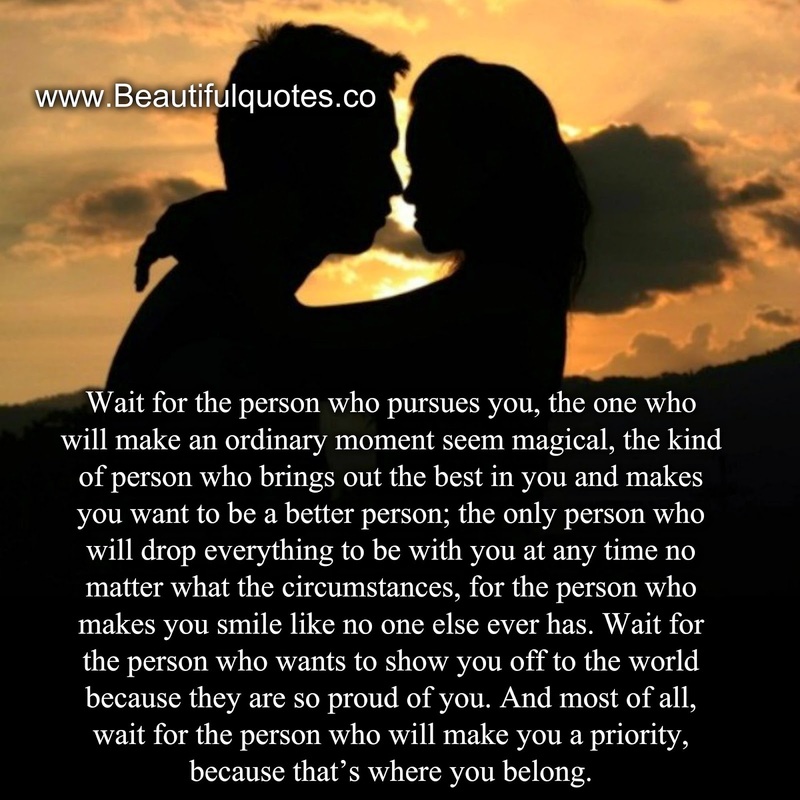 And most of all, wait for the person who will make you a priority, because that’s where you belong.